Our favorite stylish tech accessories just got even more stylish. We’ve featured plenty of Native Union tech accessories here on Cool Mom Tech, as well as in our gift guides, because they’re the perfect combination of style and function. So, no surprise we had to tell you about their new rose cable collection that you just need to see. Related: Wood you like a new iPhone case? 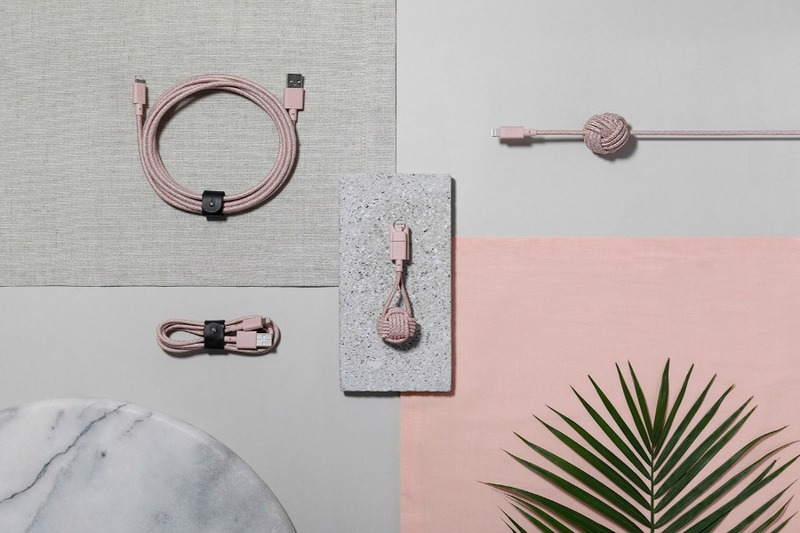 Their awesome cable collection, which includes a cable key fob (for easy charging on the go), as well as a belt and night cable (with a clever knot to keep it on your night stand), are all now available in a gorgeous rose color. Aren’t they pretty? They’re such fantastic gifts for the tech-savvy woman in your life, or a smart investment for yourself, and not just because they’re so awesome. With that unique color, you’ll know exactly which cord is yours, and if your house is like me, who stole it.